These terms constitute a legal document ("the Agreement") which sets out the rights and obligations of you as a purchaser ("you"), and those of ‘SeaMonkey-Shop.co.uk’ ("we" or "us"), in relation to the services and products offered by us through this site or any of the other Internet sites owned by us, but excludes any physical retail stores. By registering for ‘SeaMonkey-Shop.co.uk’ services, you agree to the terms of this Agreement, and you re-affirm that agreement every time you use any of our services. To provide true, accurate, current and complete information about yourself as prompted by our registration form (such information being the "Registration Data"); and maintain and promptly update the Registration Data to keep it true, accurate, current and complete. If you provide any information that is untrue, inaccurate, not current or incomplete, or ‘SeaMonkey-Shop.co.uk’ has reasonable grounds to suspect that such information is untrue, inaccurate, not current or incomplete, ‘SeaMonkey-Shop.co.uk’ has the right to suspend or terminate your account, cease supply and refuse you any and all current or future use of the ‘SeaMonkey-Shop.co.uk’ site (or any portion of it). ‘SeaMonkey-Shop.co.uk’ is a company based in England. Unless otherwise specified, the materials on this site are directed solely at those who access this site from the United Kingdom mainland. ‘SeaMonkey-Shop.co.uk’ makes no representation that any product referred to in the materials on this site is appropriate for use, or available, in other locations. Those who choose to access this site from other locations are responsible for compliance with local laws if and to the extent local laws are applicable. English law shall govern this Agreement. 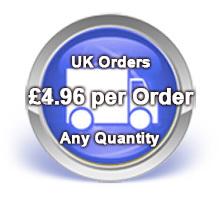 A copy of your order will be displayed on your web browser before you submit it to the ‘SeaMonkey-Shop.co.uk’ website ("the Pre-contract Notice"). The Pre-contract Notice contains important information such as a description, price (including Vat at the Current Uk Rate) and delivery charges of the goods or services ordered. We recommend suggests that you print off a hard copy of the notice or save a copy to your hard drive for your own records. ‘SeaMonkey-Shop.co.uk’ will not be obliged to supply the goods or services submitted in your order until you have received an e-mail confirmation from ‘SeaMonkey-Shop.co.uk’ accepting your order ("Order Confirmation") and until we have received cleared funds from you for that purchase. In the event the goods or services are listed on ‘SeaMonkey-Shop.co.uk’ site at an incorrect price due to typographical error or error in pricing information received from its suppliers but ‘SeaMonkey-Shop.co.uk’ have accepted your order before the discrepancy is noticed, ‘SeaMonkey-Shop.co.uk’ shall e-mail you to ask whether you are willing to pay the correct price for the goods or services ordered. If you are unwilling to pay the correct price ‘SeaMonkey-Shop.co.uk’ reserves the right to cancel the contract immediately without any liability to you. ‘SeaMonkey-Shop.co.uk’ will not charge your debit or credit card until the goods are despatched to you or it has commenced performance of the services sold to you. In the event that the goods ordered by you are not available ‘SeaMonkey-Shop.co.uk’ reserves the right to provide you with goods of a similar quality and specification and will inform you of such in the Order Confirmation. Within seven days from the date of delivery ‘SeaMonkey-Shop.co.uk’ if has supplied goods to you. Within seven days from the date ‘SeaMonkey-Shop.co.uk’ sent you the Order Confirmation if ‘SeaMonkey-Shop.co.uk’ has contracted to supply services to you, provided that ‘SeaMonkey-Shop.co.uk’ has not started to provide those services before the expiry of the cancellation period. The cancellation Request should be sent by e-mail to [email protected] and must state your name, a description of the goods or services concerned and the order number of the cancelled contract. Attaching the Order Confirmation ‘SeaMonkey-Shop.co.uk’ originally sent you would also assist us in processing your cancellation as quickly as possible. Where ‘SeaMonkey-Shop.co.uk’ have supplied goods to you, you must take reasonable care of the goods in your possession pending their return to ‘SeaMonkey-Shop.co.uk’. ‘SeaMonkey-Shop.co.uk’ will only accept the returned goods in their original packaging and which do not exhibit signs of wear or tear. Any use of the delivered goods beyond that necessary to inspect the goods on delivery will invalidate your right to cancel the contract. You must return the goods to ‘SeaMonkey-Shop.co.uk’ by registered post or similar within five days (excluding Saturdays, Sundays or Bank Holidays) from the date of the Cancellation Notice. You are responsible for the cost of returning the goods to ‘SeaMonkey-Shop.co.uk’ and the risk of damage to the goods in transit. If the goods are damaged in transit ‘SeaMonkey-Shop.co.uk’ reserves the right to refuse a refund and it will be your responsibility to seek compensation from the carrier. Once ‘SeaMonkey-Shop.co.uk’ has received the returned goods and satisfied itself that you have complied with the above conditions it will send you confirmation by e-mail that the return of the goods has been accepted by ‘SeaMonkey-Shop.co.uk’ and will immediately make a refund of the contract price of the item (excluding any delivery costs) to your debit or credit card used to purchase the goods. ‘SeaMonkey-Shop.co.uk’ has taken reasonable care in the preparation of the content of this site. However, to the extent permitted by applicable law, ‘SeaMonkey-Shop.co.uk’ disclaims all warranties (express or implied) as to the accuracy of the information contained in any of the materials on this site. ‘SeaMonkey-Shop.co.uk’ shall not be liable to any person for any loss or damage, which may arise from the use of any of the information contained in any of the materials on this site. Certain links in this site (typically a banner advert or icon) will lead to other sites, which are not under the control of ‘SeaMonkey-Shop.co.uk’. When you activate any of these you will leave the ‘SeaMonkey-Shop.co.uk’ site and we have no control over and will accept no responsibility or liability for the material on any site, which is not under our control. Nothing in this Agreement shall affect the statutory rights of any consumer or exclude or restrict any liability for death or personal injury arising from the negligence or fraud of ‘SeaMonkey-Shop.co.uk’. Direct loss or damage (including loss or damage which is reasonably foreseeable or occurs naturally in the course of things) resulting from any acts, omissions, failures or delays occurring on or in relation to those parts of the Internet not under ‘SeaMonkey-Shop.co.uk’ direct control including, without limitation, damage for loss of business, loss of sales, non payment of sums due, loss of profits, business interruption, loss of reputation, loss of business information, or any other pecuniary loss (even where ‘SeaMonkey-Shop.co.uk’ has been advised of the possibility of such loss or damage). This limit shall also apply in the event that any exclusion or other provision contained in this Agreement is held to be invalid for any reason and ‘SeaMonkey-Shop.co.uk’ becomes liable for loss or damage that could otherwise have been limited. You agree and acknowledge that you are in a better position than ‘SeaMonkey-Shop.co.uk’ to foresee and evaluate any potential damage or loss that you may suffer in connection with the goods and services provided by ‘SeaMonkey-Shop.co.uk’, and therefore that ‘SeaMonkey-Shop.co.uk’ cannot adequately insure in respect of such liability. You warrant to ‘SeaMonkey-Shop.co.uk’ that you will insure against, or bear yourself, any loss for which ‘SeaMonkey-Shop.co.uk’ has excluded liability. Save to the extent that it falls within the provisions of the above clause, you shall indemnify ‘SeaMonkey-Shop.co.uk’ and any third party (including its sub-contractors) from and against any liability, losses, rights, expenses, loss of profits, business interruption, consequential loss, pecuniary loss, claims or legal proceedings, including, but not limited to claims involving defamation and intellectual property infringement, and expenses, including legal fees, arising from your use of the ‘SeaMonkey-Shop.co.uk’ site or purchase of goods and/or services from that site which are brought or threatened against ‘SeaMonkey-Shop.co.uk’ or suffered or incurred by ‘SeaMonkey-Shop.co.uk’ by another person or entity. Delivery times quoted are estimates only, and ‘SeaMonkey-Shop.co.uk’ shall not be liable for any delays caused except to the extent caused wilfully or negligently by ‘SeaMonkey-Shop.co.uk’. However, unless we have agreed a longer period for delivery with you, we will either deliver goods and/or services within thirty days of you placing the order or we will let you know as soon as it will not be possible to meet this obligation. We aim to deliver within 7 days. If an item is out of stock, we will contact you within 1 working day to arrange an alternative date or a refund”. ‘SeaMonkey-Shop.co.uk’ shall not be held liable for any breach of this Agreement caused by circumstances out of its control including, but not limited to, Acts of God, fire, lightening, flood, or extremely severe weather, explosion, war, disorder, flood, industrial disputes (whether or not involving our employees), acts or omissions of Internet services providers or acts of local or central Government or other competent authorities. By placing an order on ‘SeaMonkey-Shop.co.uk’ it has been assumed that these terms and conditions have been read and accepted.